With the Fjällräven Polar Bib Trousers outdoor trousers, you'll be perfectly equipped for outdoor adventures in really cold temperatures! These high-quality and functional trousers are made of strong, durable G-1000 material and are equipped with Supreme Microloft insulation. 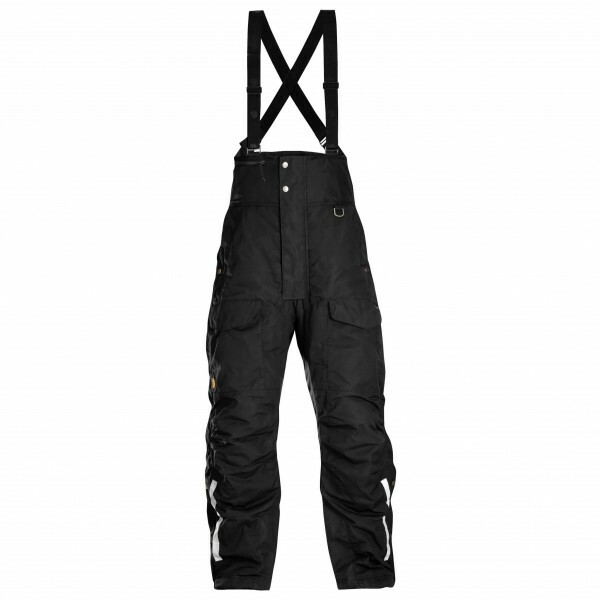 The trousers are not only windproof and waterproof but extremely breathable as well! Plus, they have integrated UV protection! Thanks to the pre-shaped knees with openings for knee pads as well as the elastic in the back, the trousers fit extremely well. Of course, the adjustable and detachable braces and adjustable leg endings add to the overall comfort of the trousers. If you're ever out and about at night, the reflective elements will make you more visible and increase your safety in the dark. 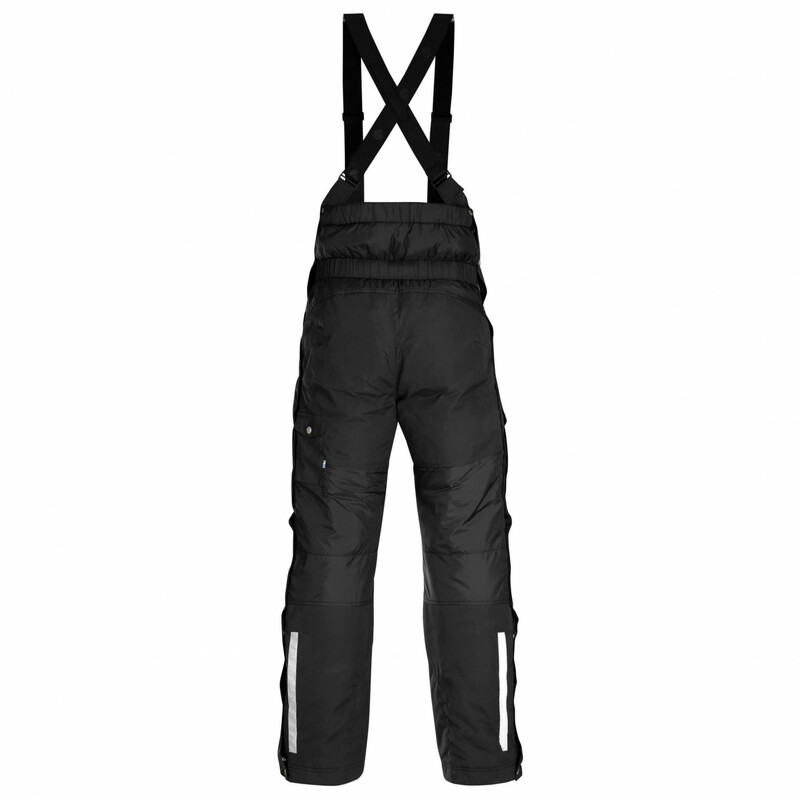 Let your next outdoor adventure begin with the Fjällräven Polar Bib Trousers!